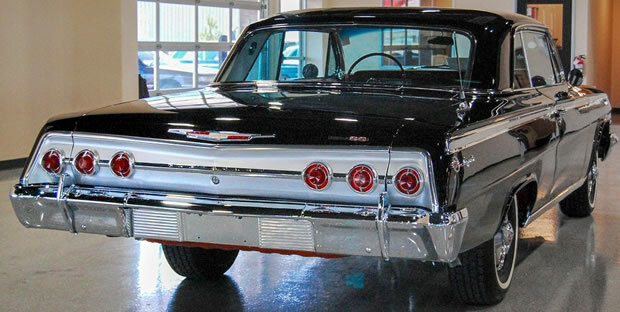 Impala was top-of-the-line for the 1962 Chevrolet. Throw in a big block V8 and an SS package and you have a very collectable car. This stunning Impala Sport Coupe looks really striking with the Tuxedo black paint and contrasting red interior. 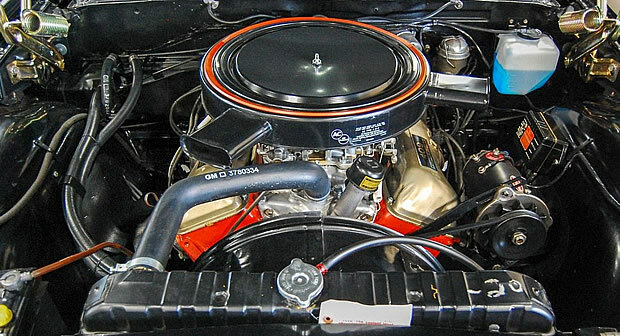 This car has been nicely restored and is all the more special as it came with a 409 cubic inch V8 from the factory. It's highlighted with a special emblem mounted on the front fenders to show off Chevrolet's biggest engine available that year. It provides 409 horsepower - or one horse per cubic inch! It's an iconic engine. Just think of the Beach Boys' hit single which referred to this very engine. At the rear we can see the giveaway signs that it's an Impala with its six taillights - lesser full-size Chevy models had dual lights each side. In addition, the silver anodized panel that surrounds them is Impala only. When we look a the side view we can see the roofline of the Sport Coupe is designed to look like a convertible top. Inside there's a really beautiful and luxurious looking red vinyl interior which was plusher than the Biscayne or Bel Air. 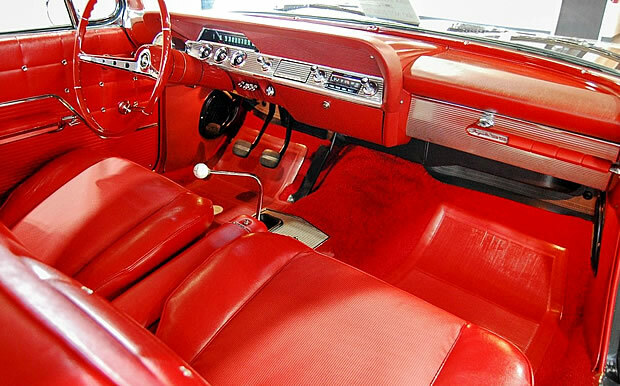 The front seats also had aluminum end panels which were a feature unique to the Impala. A total of 323,427 Sport Coupes were produced for the 1962 model year. However, this figure covers the body style only and includes the Bel Air cars. We do know however that only 15,1019 409 V8s were produced. 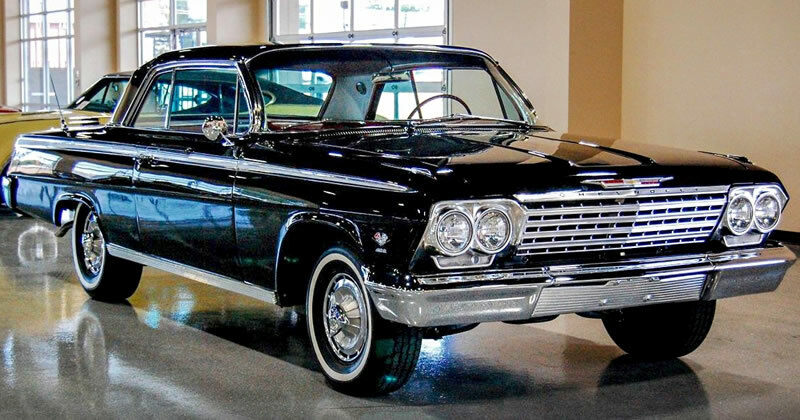 If you wanted to buy a 1962 Chevrolet Impala Sport Coupe back then it would have set you back $2,669 for the base six cylinder and $2,776 for the 283 cubic inch V8. The 409 was not a cheap option on this car. Original buyers were looking at adding $484 for one hooked up to a 3-speed manual or $672 if you wanted it with a 4-speed as this car is equipped with (it wasn't available with an automatic transmission). Other original options on this car include: Push-button radio originally costing $57, Soft Ray tinted glass at $38, the SS code 240 package at $53.80 and power steering which would have been $75.